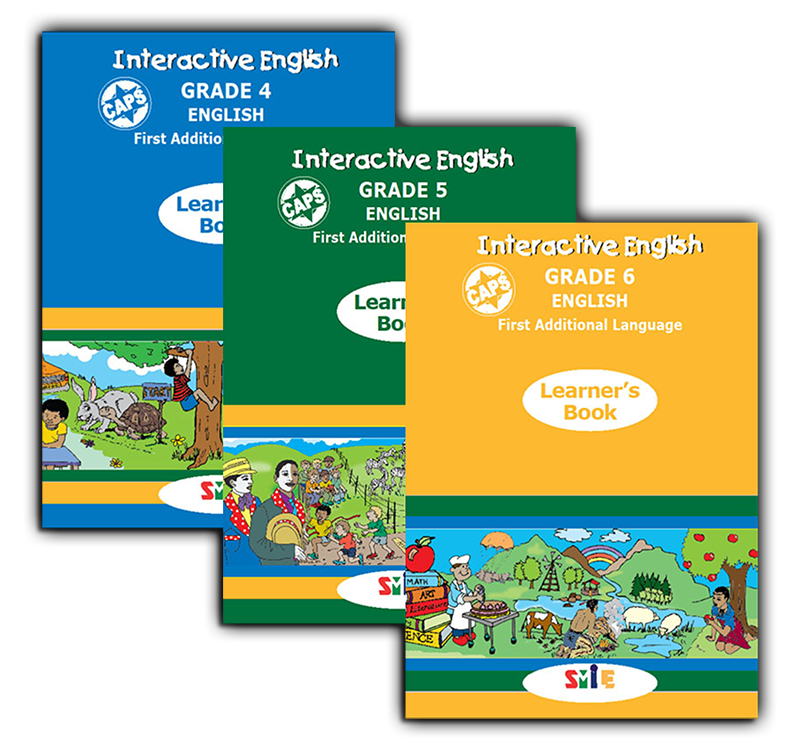 An exciting variety of relevant texts cover cross-cultural topics and social and environmental issues to interest young learners. 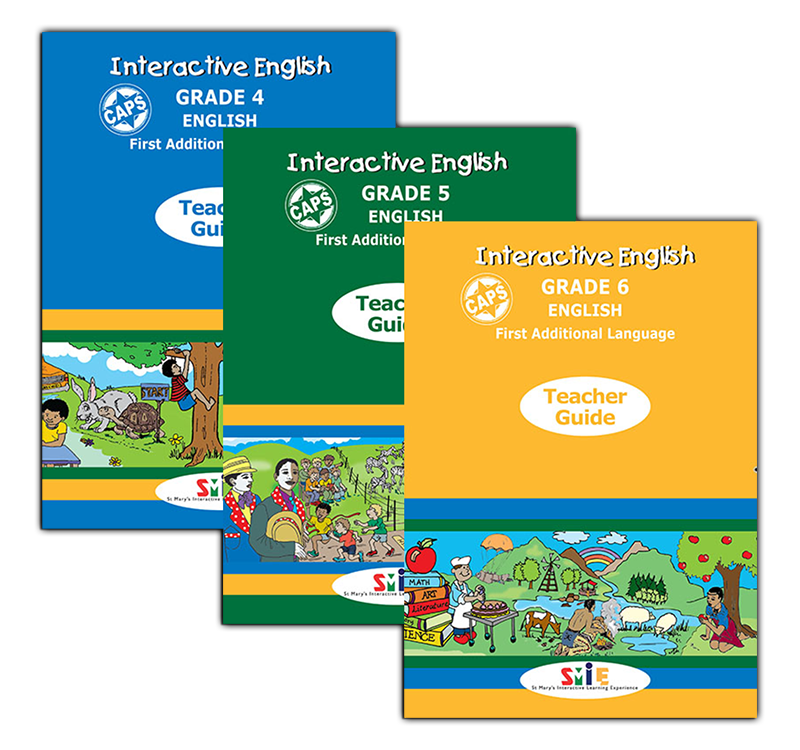 The four Themes provide layering and scaffolding of creative and imaginative texts for the development of learner’s skills through the Grade. 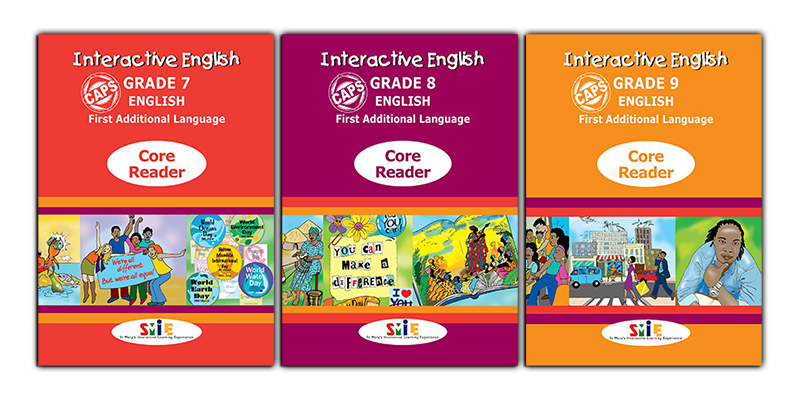 The Core Reader is integrated into the Themes and various activities. Language structures and rules are clearly displayed for easy reference and use. Extensive assessment opportunities include teacher, group, peer and individual assessment tasks. These Interactive English Learners’ Textbooks are designed to excite and keep the interest of all learners. 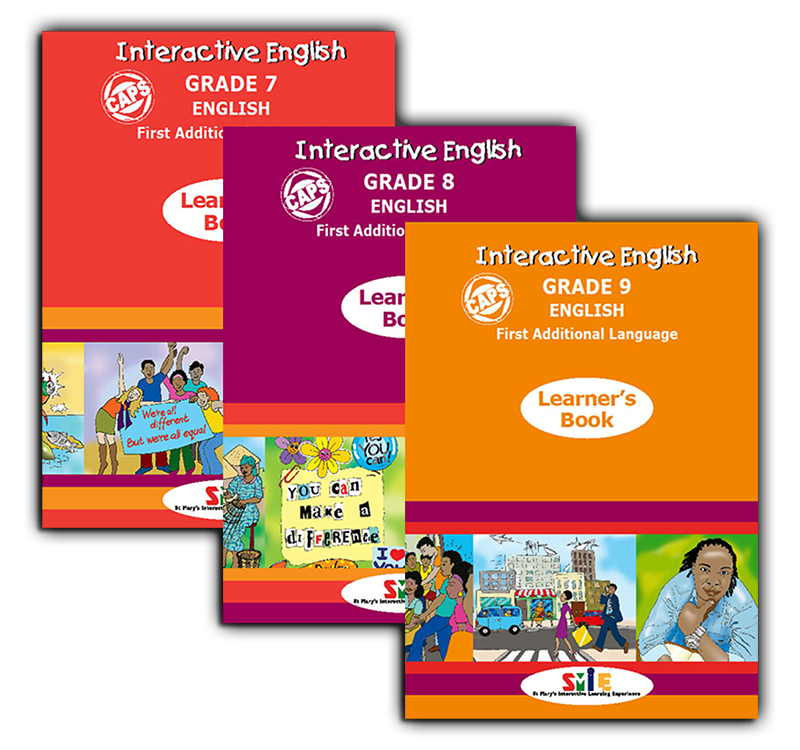 An exciting variety of texts cover social, racial and cultural issues. The texts are linked to the Themes of each Term and the Topics of the cycles. 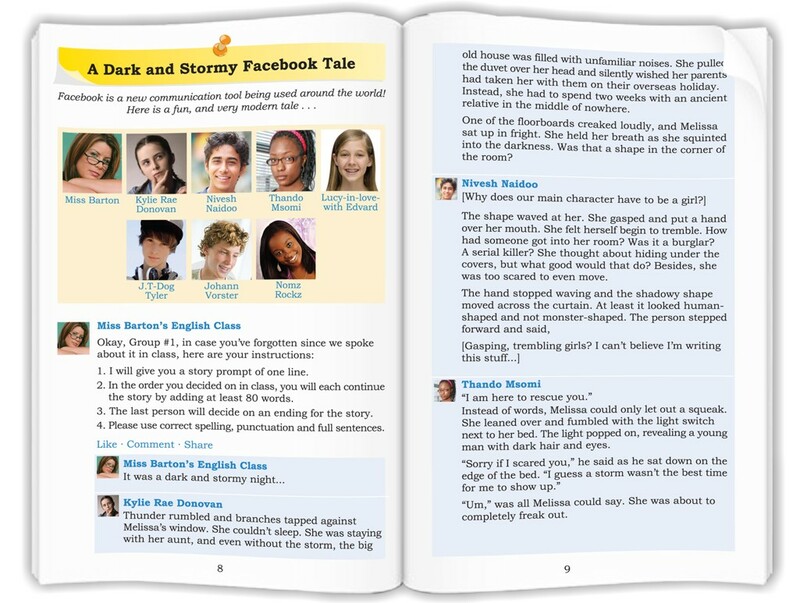 The texts are a balanced mix of fiction and non-fiction, covering stories, dramas, information, social and media texts. The S.M.I.L.E. 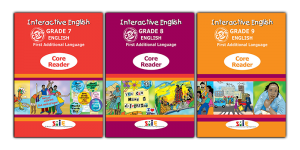 Interactive English Core Reader promotes the enjoyment of reading as well as questioning and reasoning skills and imagination. 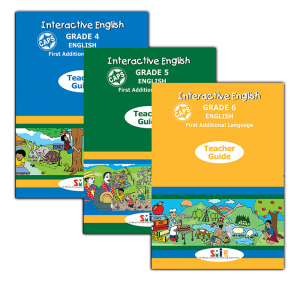 Each of the Interactive English Teacher Guides are user-friendly with a difference. An overview of the Curriculum and Assessment Policy Statement (CAPS) for the Intermediate Phase. The Teaching Plan for the twenty cycles in the year. The Programme of Formal Assessment for the year. 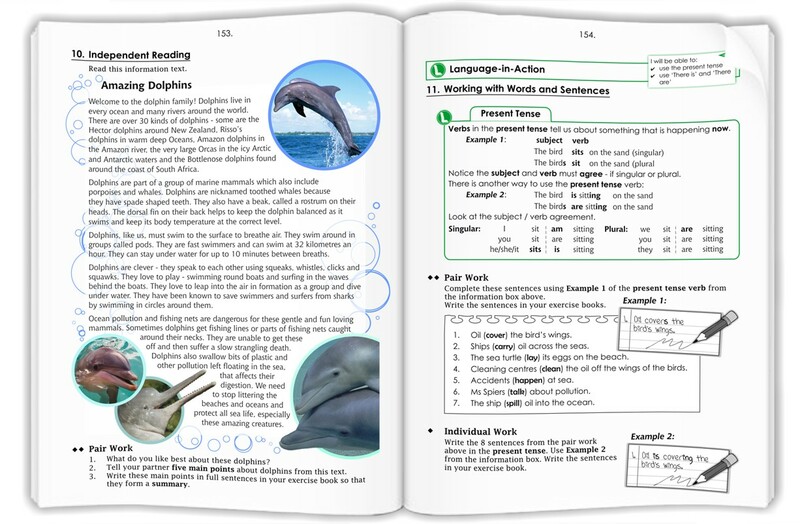 Sample Examination Papers for the Mid and Year-End Examinations. Memoranda for the Sample Examinations and Assessment Rubrics for the Writing Activities. 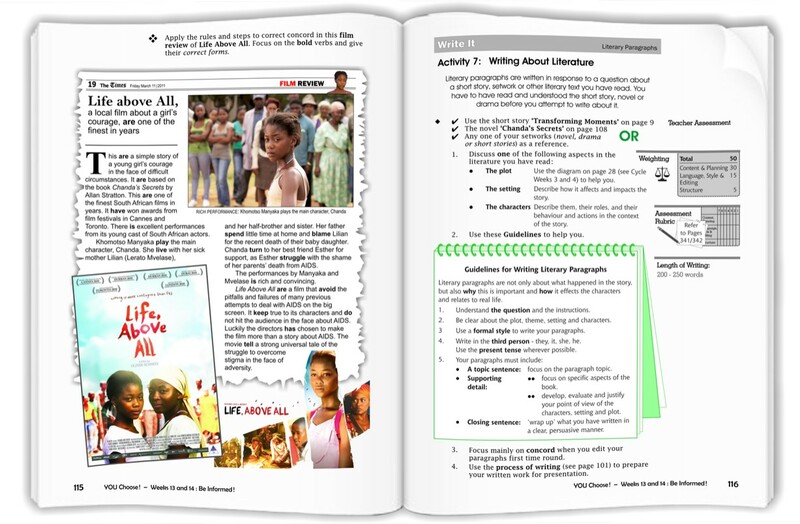 Suggested activities to include the Core Reader in the Teaching Plan. 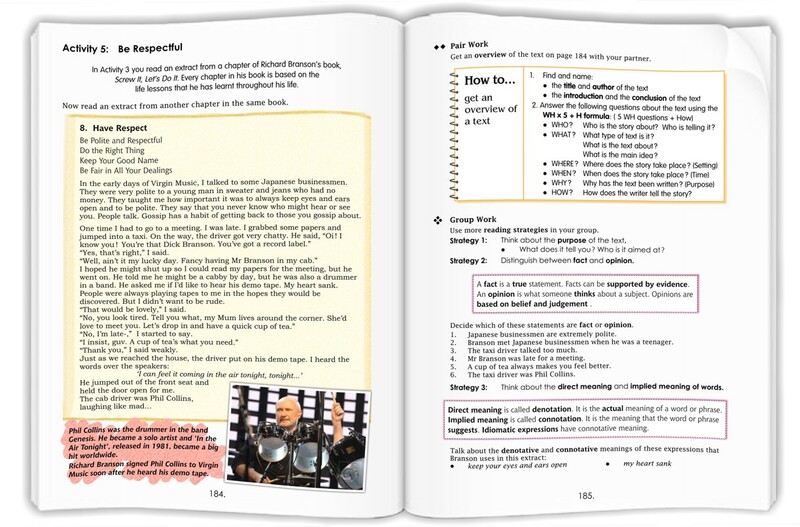 More than an answer book including the purpose and possible responses for each activity. 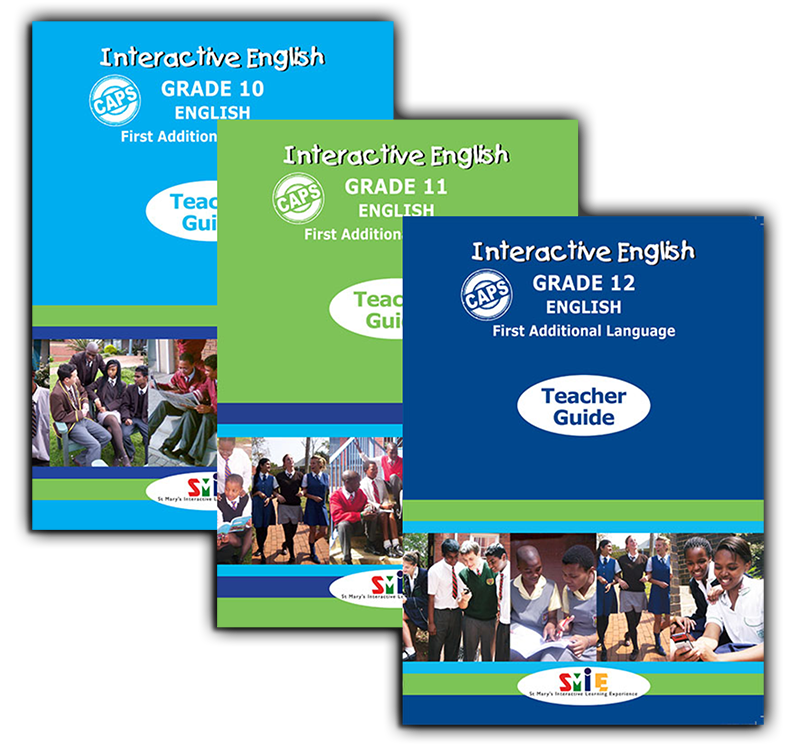 The Interactive English Teacher Guides are designed to inspire and support teachers throughout the teaching year. These Interactive English Learners Textbooksare designed to excite and keep the interest of all learners. 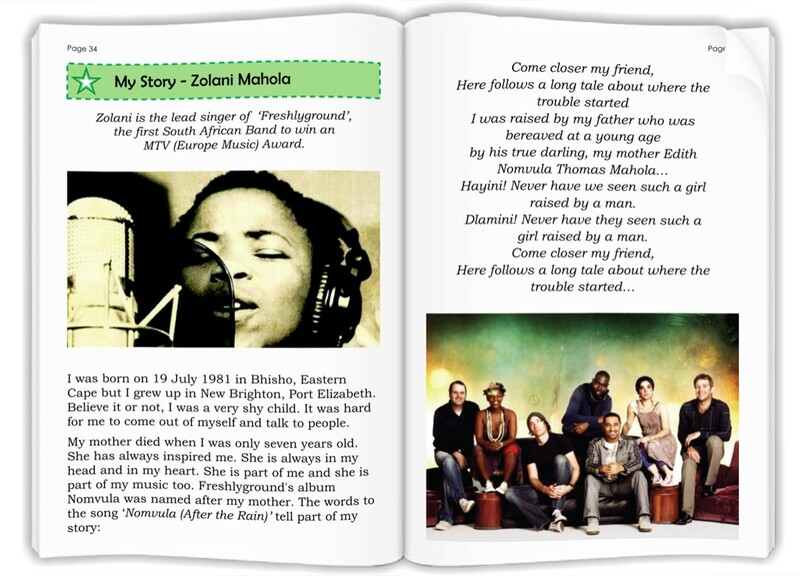 The texts are a balanced mix of four genre: poetry, drama, folklore and short stories. 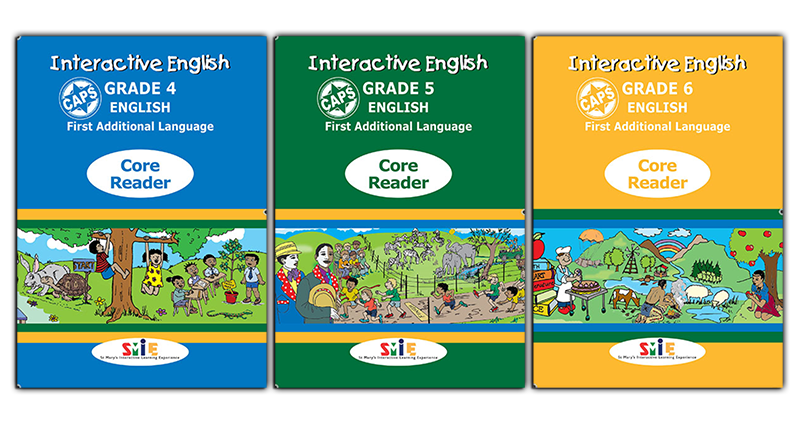 They promote the enjoyment of reading as well as questioning and reasoning skills and imagination. An overview of the Curriculum and Assessment Policy Statement (CAPS) for the Senior Phase. The Teaching Plan for the twenty cycles of the specific year. The Programme of Formal Assessment for the specific year. Assessment Rubrics for all Writing Tasks and Oral Presentations. The Format of Examinations for the Senior Phase. These Interactive English Teacher Guides are designed to inspire and support teachers throughout the teaching year. 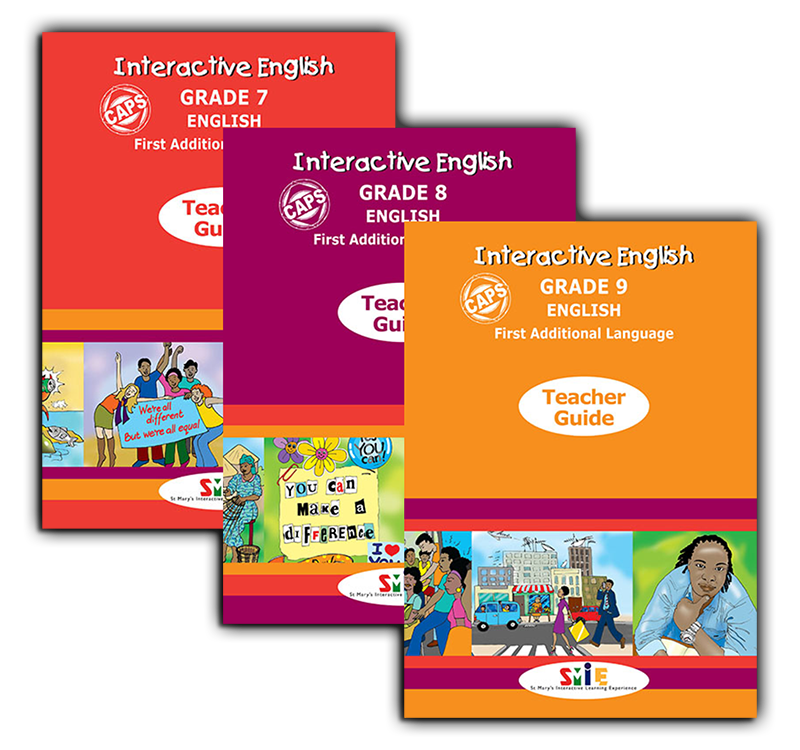 An exciting variety of relevant texts cover cross-cultural topics and social and environmental issues to stimulate today’s teenagers. 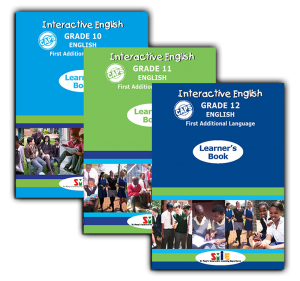 Excellent frames of reference give learners the springboard they need to express themselves orally and in writing. 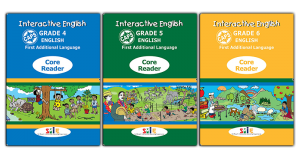 The four Themes provide layering and scaffolding of creative and imaginative texts for development of learner’s skills through the Grade. Extensive assessment opportunities include teacher, group, peer, self and formal assessment tasks. 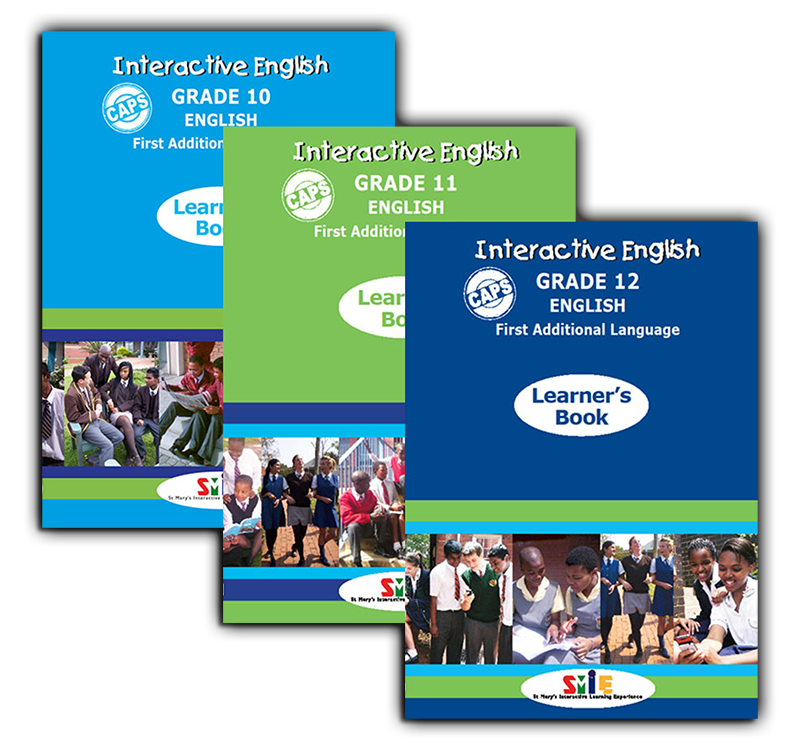 These Learners Textbooks are designed to excite and keep the interest of the learners. An overview of the Curriculum and Assessment Policy Statement (CAPS) for the FET Phase. The Format of Examinations for the FET Phase.